By Jessica Keller | October 11, 2017. On 22 September, the Robert Emmet Community Development Project [RECDP] joined many other exhibitioners to celebrate Dublin’s Culture Night. 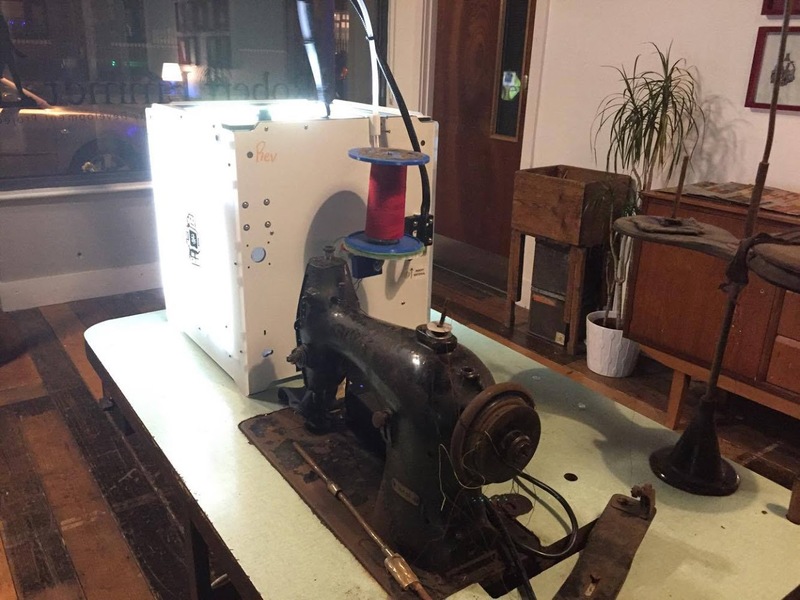 Artist, Glenn Loughran, created this exhibition, ‘After the Future’ in response to the closure of a sewing factory on Usher Street that has been in use since 1760. 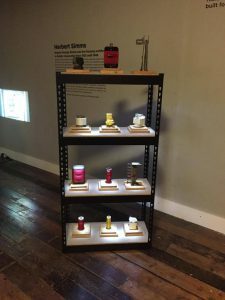 Many objects and textiles from the factory were used in the exhibition that viewed industrial and post-industrial themes involved in the working world and unemployment around Dublin. The project began with musician, Eimear Reidy. Her cello piece ‘Intermittence’ was commissioned to be played from the doors of the sewing factory. The performance was held on June 9th 2017, from 11-11.15am, the time of the workers’ tea break. Ex-workers and community members were invited to attend as a farewell to the factory. Loughran and the RECDP commissioned Reidy to create a 15 minute composition to be played from the factory on the day before its demolition. At the ‘After the Future’ exhibition on Culture Night, this composition was played on a projector in the building next door along with footage from inside the factory in its current state. Loughran worked in conjunction with UCD Engineering Student, James Carron, to bring technology into his work. For this exhibition, the factories’ textiles machines were altered with in order to work to make art with the thread. Previous sculptures were on display at the exhibition as well. “It’s fascinating to see the types of conversations that happen while people are watching the machines work”, said James Carron. The RECDP are taking this exhibition as an opportunity to strike up a conversation on the unemployment in our economy and its influence on the future generation.